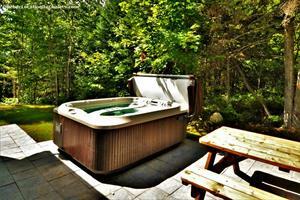 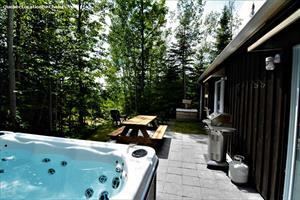 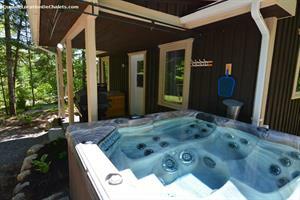 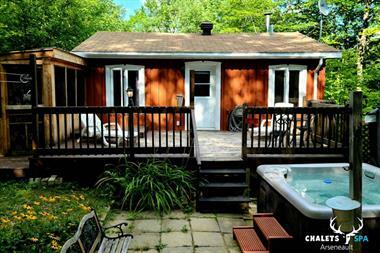 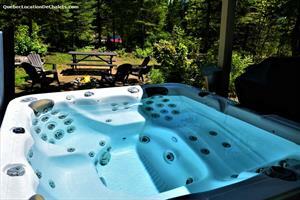 Newly renovated cottage benefiting from a rustic setting and an extremely warm atmosphere. 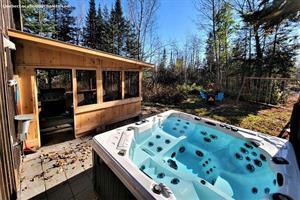 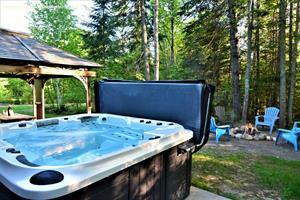 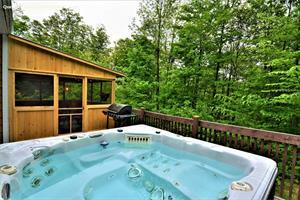 Wind down in you own private spa while enjoying the warmth of an outdoor fire with your family or friends. 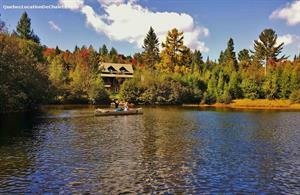 Take advantage of its majestic swimming pond by kayaking or sunbathing on its sandy beach.